Savannah College of Art and Design, Atlanta. University of Colorado Boulder, Special Collections. University of North Carolina at Greensboro, Jackson Library, Special Collections. 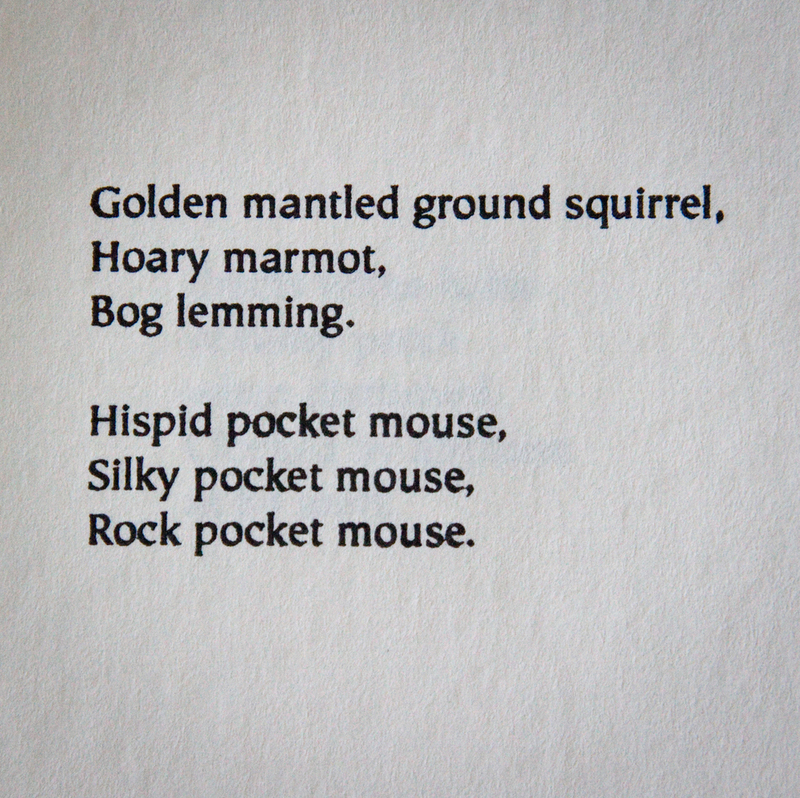 A small, full-cloth-bound letterpress book, 4.5″ x6″, of found “poems”, discovered over the years in field guides and zoology textbooks. 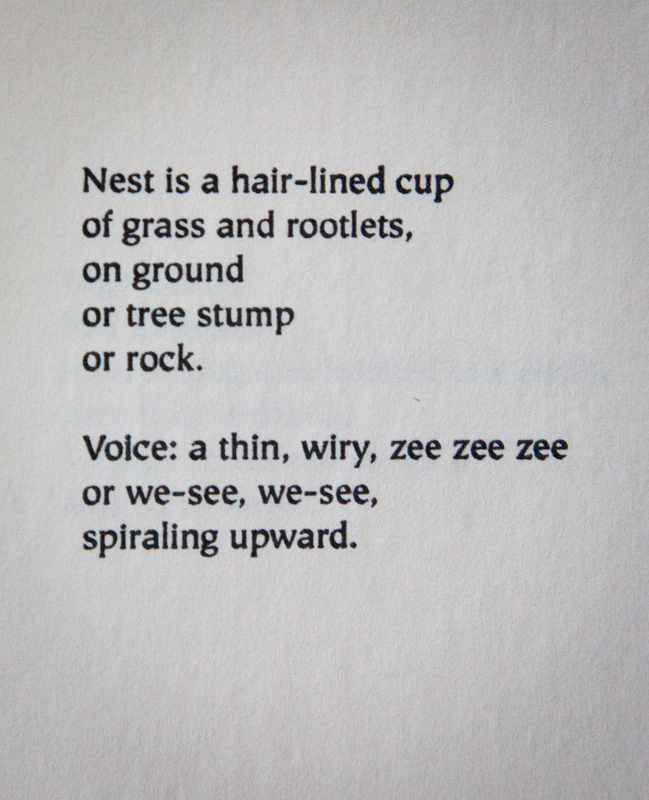 These excerpts of unintentionally poetic language are delicious both linguistically and in the unbelievable-yet-true bizarreness of the creatures described. 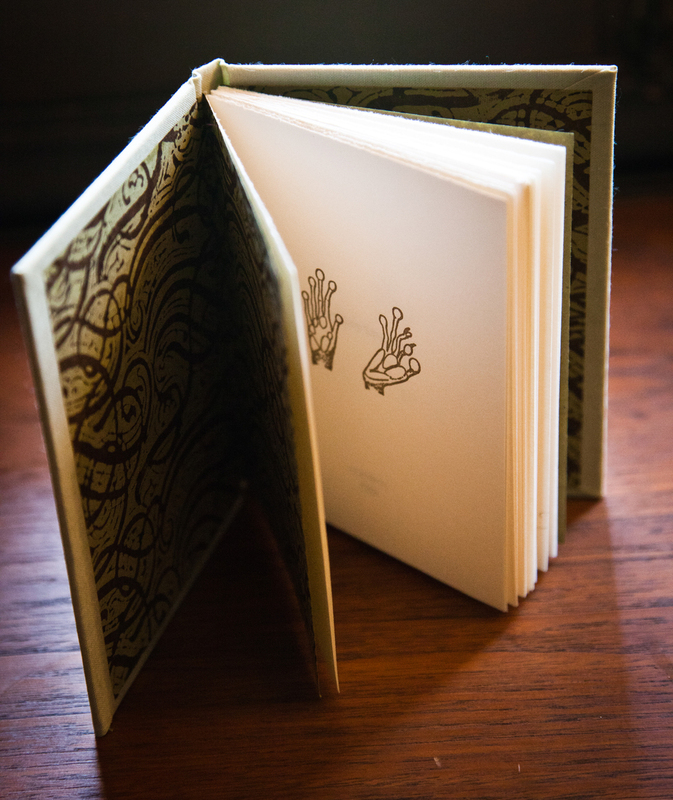 The volume celebrates the poesy and affection inherent in the supposedly objective scientific eye, and contains 4 letterpress illustrations of the hands and feet of different species of primates. 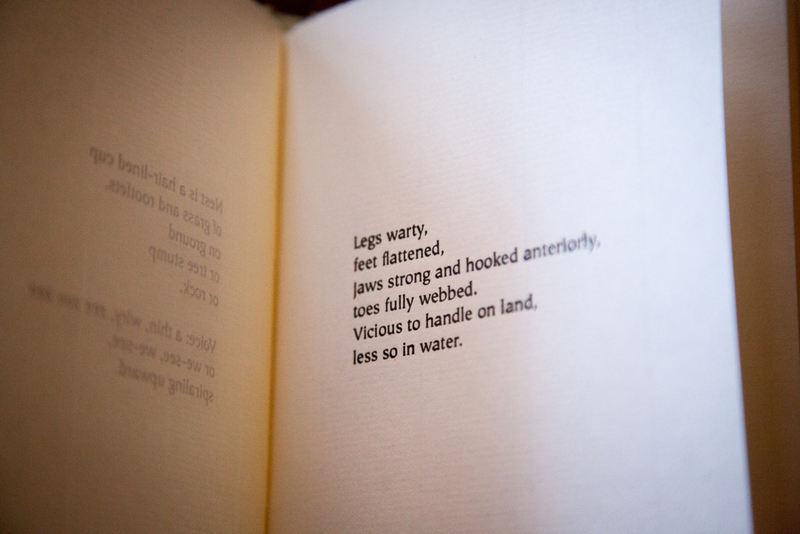 Edition of 100, 2005. $450.